When the evil Pitch (Jude Law) threatens to engulf the world in fear and darkness the protectors of childhood – the Guardians – must band together to defeat him. At the same time these Guardians – North (Alec Baldwin), Tooth (Isla Fisher), Bunnymund (Hugh Jackman) and the Sandman – must learn to work with the new Guardian Jack Frost (Chris Pine). Rise of the Guardians is not the film you think it is; it is most assuredly not a sequel to Legend of the Guardians: The Owls of Ga’Hoole. Instead, Rise of the Guardians is a dark but charming and beautifully realised story of what would happen if Santa, the Easter Bunny, the Tooth Fairy, the Sandman and Jack Frost all worked together to protect the children that believe in them. The idea in self seems to be a question that children would ask; has Santa ever met the Easter Bunny? It is this question that gave seed to the film, and it allows the child in all of us to marvel at the idea of our childhood icons being friends. The voice talent of the film is rather impressive; Jude Law gives his best performance in years as the evil, but ultimately insecure, Pitch. Pitch is the bogeyman, but he is tired of hiding under beds and not being believed in. It is this lack of belief that makes these characters invisible to humans, and it is obviously a bugbear for each one of them. Pitch is the villain of the film, but Law brings a vulnerability to the character that makes him relatable, and explains his villainous designs. That said, the audience still wants to see him defeated. Alec Baldwin shows off his comedic timing as North – also known as Santa – Isla Fisher brings some femininity to the Guardians as Tooth, Hugh Jackman treads the line between hero and villain as Bunnymund, the Easter Bunny; he is sarcastic and slightly mean, but is dedicated to his work and shows his true self in the interactions with small children. Chris Pine voices Jack Frost. Pine shows off his ability to convey fun through his voice, but he allows Jack’s insecurities to show, thus making the character the emotional heart of the film. Making the Sandman a silent but blithe character is a wonderful touch and his manner of communication is beautiful and charming. 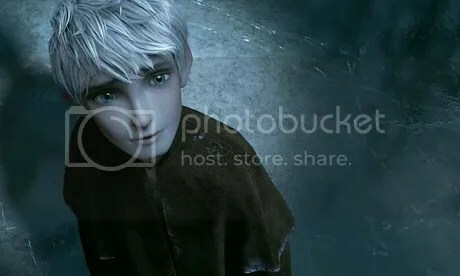 Based on a book by William Joyce, there is a touch of genius to Rise of the Guardians, not only in bringing the characters together, but in making them warrior protectors of childhood fighting the age old battle of good vs evil. As well as this, the film explores the dark side of childhood incredibly well. Instead of focusing solely on how much fun it is to be a child, the film balances this by acknowledging that fact that children struggle with fear as much as the rest of us. Yes, the film has to have a happy ending – this is a children’s film after all – but the characters have to fight for what they believe in. Not only does this make the film feel well rounded and emotionally satisfying, but it reinforces the idea in the young audience that sometimes things are scary, but they have the strength to overcome their fear. As well as this, the idea that it all comes down to one child who believes in the Guardians means that the audience will identify with this character, and find themselves wishing they were he. Bearing all of this in mind, Rise of the Guardians is not just an introspective film, it is jam packed with action sequences where the Guardians battle to protect the children who believe in them, and it is wonderfully funny. North’s interactions with his yeti and silent elvish workers are wonderful. The yeti’s outrage and pantomime despair are laugh out loud funny and even though the elves are a little reminiscent of the minions from Despicable Me, their silent face pulling, violent tendencies and physicality work in the film’s favour. As well as this, Rise of the Guardians beautifully animated. Visually, this is the strongest film yet to come from Dreamworks. Each of the Guardians’ worlds are created in loving and lush detail and they entwine the myths and legends that we know from our childhoods; North uses the Northern Lights as his own personal bat signal, Tooth’s world is obviously based on the hummingbird, as is the look of the character, and Bunny’s home is a combination of a springtime land and Easter Island. Jack’s frost that curls up windowpanes is beautifully curly and shining, Sandman’s sand glistens gorgeously and Pitch’s nightmares are wonderfully dark. If there were to be an issue with the film, it would be that subplots are often abandoned without being resolved, and the focus switches from character to character, leaving the film feeling a little jumbled at times. As well as this, a fairly vital character disappears early in the film and, while his story is eventually resolved happily, for much of the film the audience is left wondering whether he has been abandoned entirely. In all, Rise of the Guardians is a beautifully animated film that proves that Dreamworks is quickly catching up with its closest competitors. The story is dark enough that the film does not talk down to its audience, but funny enough that they do not sink into despair. This is easily the animated film of the year… Sorry, Pixar.